NEW YORK, NY (December 10, 2015) — Heatherwick Studio and Diamond Schmitt Architects have been selected as the architecture team that will lead the renovation and reimagination of David Geffen Hall, Lincoln Center’s largest concert hall, it was announced today by Katherine Farley, chairman of Lincoln Center for the Performing Arts, and Oscar S. Schafer, chairman of the New York Philharmonic. This first-ever collaboration brings together two world-class, award-winning firms–collectively, they bring extensive experience designing innovative public spaces and specialized expertise in the design and execution of world-renowned performing arts halls. Heatherwick Studio has been hailed for its bold designs of a corner-less university building in Singapore, a master plan for the new Google campus in Silicon Valley (with BIG) and Zeitz MOCAA, an art museum in Cape Town, South Africa, among other large-scale projects. Diamond Schmitt Architects has designed more than forty celebrated performing arts venues from Canada to Russia and points in between. The firm’s acclaimed work includes the New Mariinsky Theatre in St. Petersburg, Russia, the Four Seasons Centre for the Performing Arts in Toronto, and the Maison Symphonique de Montréal. 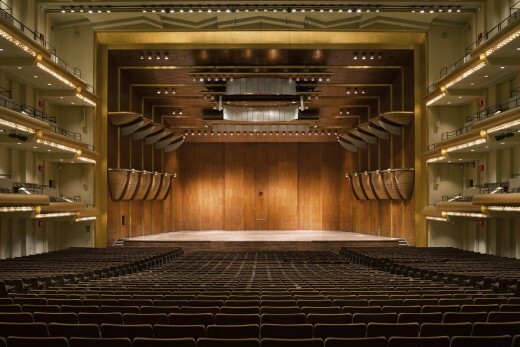 In addition to its primary purpose as the home for the New York Philharmonic, the new David Geffen Hall will be designed to facilitate a broader, ongoing array of community activities and events. Construction is expected to begin in 2019 at a preliminary estimated cost of $500 million. 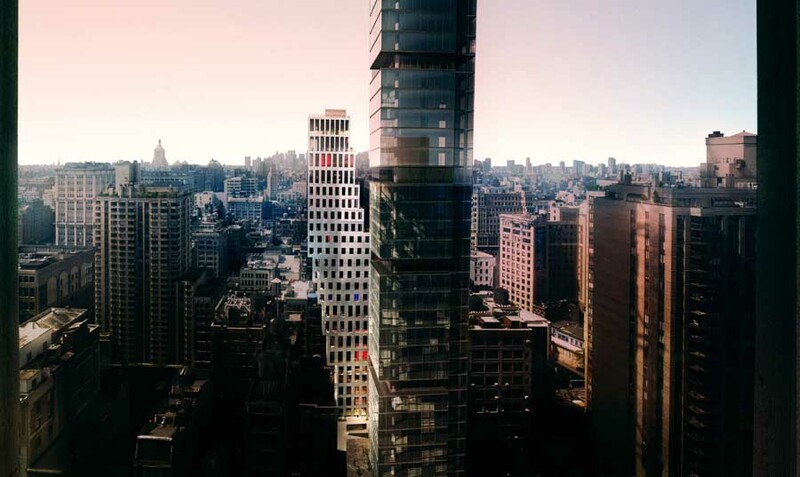 Following a rigorous, two-year competition involving many of the world’s leading architecture and design firms, a committee comprised of representatives from both Lincoln Center and the New York Philharmonic evaluated more than 100 firms before selecting the team of Heatherwick Studio and Diamond Schmitt Architects. 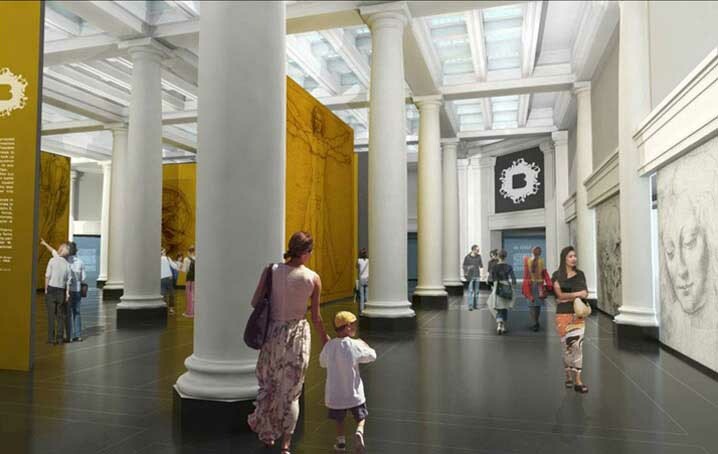 “The inspiring combination of Heatherwick and Diamond Schmitt will bring contemporary design excellence, respect for the historic architecture of the hall, and extensive experience creating acoustically superb performance halls,” said Farley. 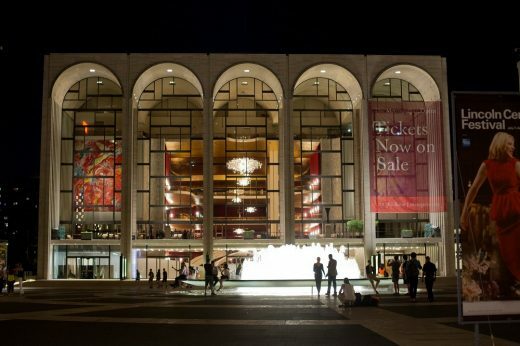 “We believe this pairing of Heatherwick and Diamond Schmitt offers the most compelling potential for the New York Philharmonic’s new home that will reflect the excellence and artistry of this Orchestra, as well as further enhance and support the Philharmonic’s evolution as a 21st-century institution,” said Schafer. In addition to creating a 21st-century concert hall with world-class acoustics, Heatherwick Studio and Diamond Schmitt Architects will be charged with reimagining the auditorium and ultimately creating a place where the architecture is at one with music. 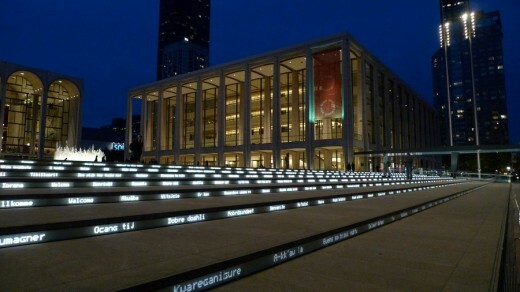 Lincoln Center and the New York Philharmonic, including leadership, key staff and performers, will work closely with the entire project team – Diamond Schmitt, Heatherwick, acoustic design firm Akustiks and theater design firm Fisher Dachs – over the coming months to develop and finalize the design. When complete, the new hall will also be the permanent home of Legends at Lincoln Center: the Performing Arts Hall of Fame, which will honor and celebrate the performing arts and film represented at Lincoln Center every day. “We look forward to working closely with Diamond Schmitt Architects and Heatherwick Studio to design not only a dynamic, new concert hall for this great Orchestra, but also an aspirational new home that will find innovative ways to engage New Yorkers and the broader community,” said Matthew VanBesien, president of the New York Philharmonic. 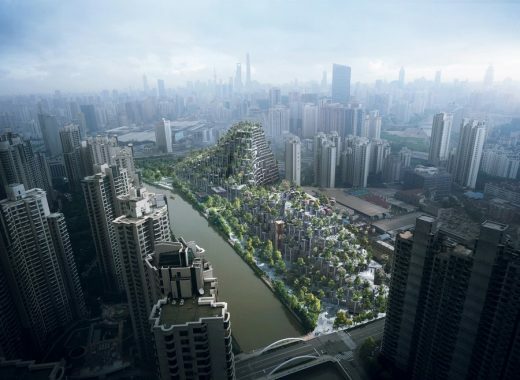 Heatherwick Studio projects include the Pier55 park and performance space on the Hudson River, two mixed-use developments in Shanghai and a major retail quarter in historic King’s Cross, London. Among Diamond Schmitt Architects’ other current projects are the Buddy Holly Hall of Performing Arts & Science in Lubbock, TX, Emily Carr University of Arts + Design in Vancouver, and the rejuvenation of the National Arts Centre in Ottawa. The concert hall, originally designed by Max Abramovitz, was the first building to open on the Lincoln Center campus. 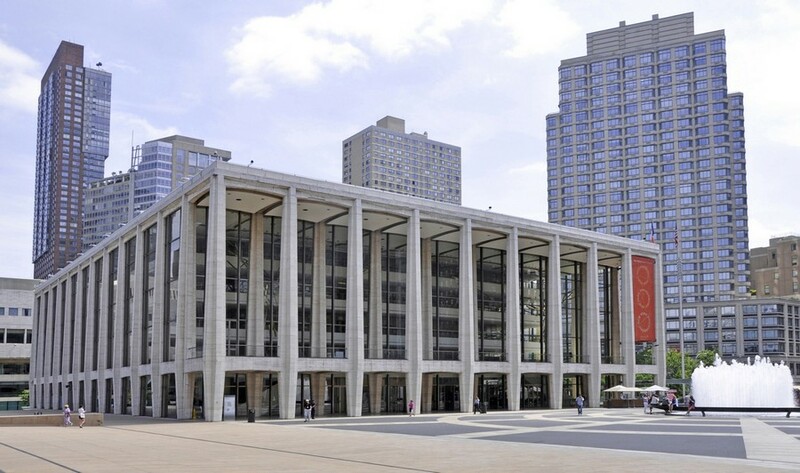 First known as Philharmonic Hall, it has been home to storied performances by the New York Philharmonic, as well as other renowned orchestras and soloists, for more than five decades. 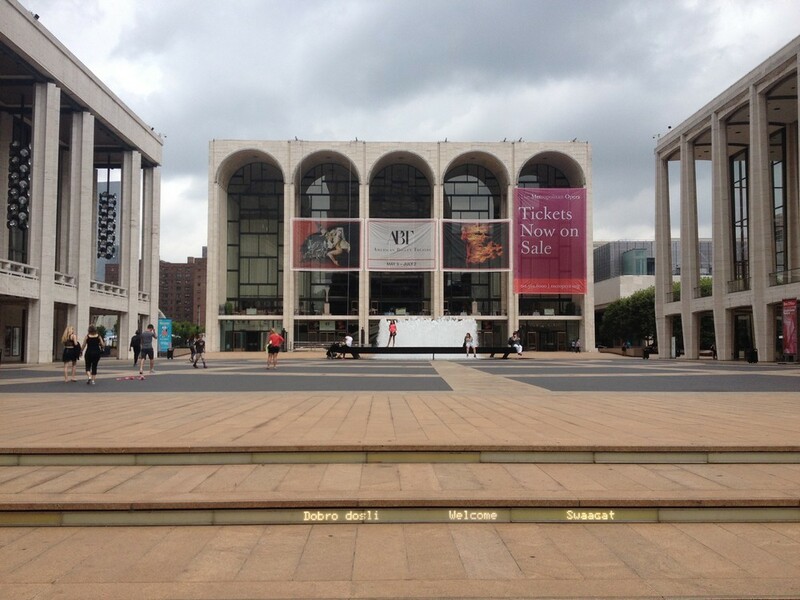 The symphonic concert hall was renamed in September, 2015 to David Geffen Hall in honor of music and media executive and philanthropist David Geffen, whose generous $100 million gift will allow Lincoln Center to move forward with the creation of the dynamic, new hall. 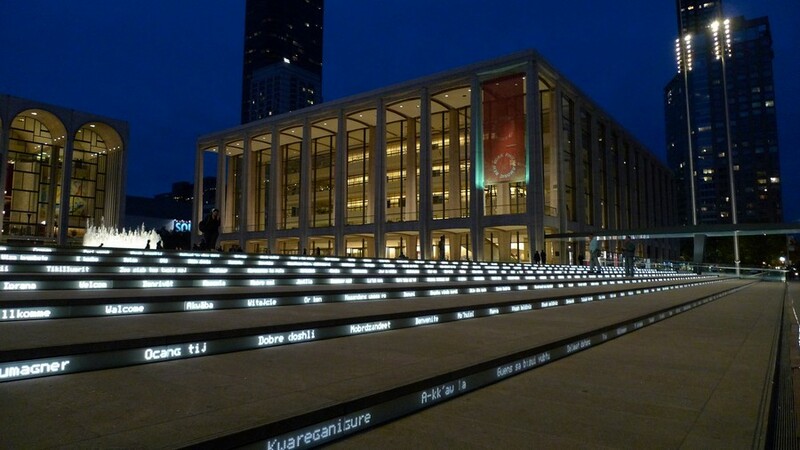 Lincoln Center for the Performing Arts (LCPA) serves three primary roles: presenter of artistic programming, national leader in arts and education and community relations, and manager of the Lincoln Center campus. A presenter of more than 3,000 free and ticketed events, performances, tours, and educational activities annually, LCPA offers 15 series, festivals, and programs including American Songbook, Avery Fisher Artist Program, Great Performers, Lincoln Center Festival, Lincoln Center Out of Doors, Midsummer Night Swing, Martin E. Segal Awards, Meet the Artist, Mostly Mozart Festival, and the White Light Festival, as well as the Emmy Award-winning Live From Lincoln Center, which airs nationally on PBS. The New York Philharmonic plays a leading cultural role in New York City, the United States, and the world. This season’s projects will connect the Philharmonic with up to 50 million music lovers through live concerts in New York City and on its worldwide tours and residencies; digital recording series; international broadcasts on television, radio, and online; and as a resource through its wide range of education programs and the New York Philharmonic Leon Levy Digital Archives. Having commissioned and/or premiered works by leading composers from every era, the Orchestra now champions contemporary music through CONTACT! and the NY PHIL BIENNIAL. Established by Thomas Heatherwick in 1994, Heatherwick Studio is recognized for its work in architecture, urban infrastructure, sculpture, design and strategic thinking. Today a team of 180, including architects, designers and makers work from a combined studio and workshop in Kings Cross, London. In the twenty years of its existence, Heatherwick Studio has worked in many countries, with a wide range of commissioners and in a variety of regulatory environments. Through this experience, the studio has acquired a high level of expertise in the design and realization of unusual projects, with a particular focus on the large scale. Since 1975, Toronto-based Diamond Schmitt Architects (www.dsai.ca) has built a culture of design excellence and innovation across a range of building types. 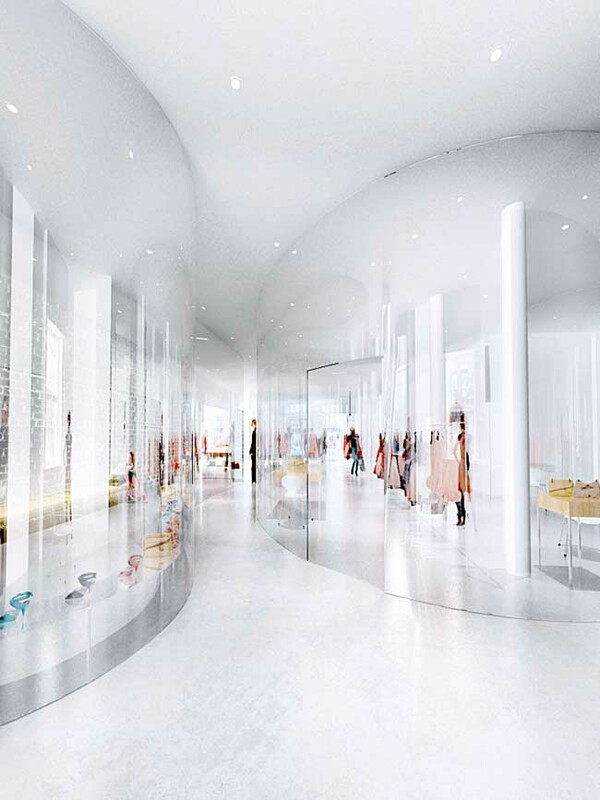 Projects strive to surpass clients’ aspirations with architecture that is responsive and sensitive to its site and engages users with meaningful connections and context. Diamond Schmitt Architects is preeminent in the design for the performing arts, with 40 projects in four countries. Previous U.S. commissions include the Harman Center for the Arts in Washington, DC and the Max M. Fisher Music Center in Detroit. Other significant projects in the company’s portfolio include the Jewish Community Center in New York City, the Israeli Foreign Ministry in Jerusalem and the Peter Gilgan Center for Research and Learning at the Hospital for Sick Children in Toronto. The company has received more than 250 regional, national, and international awards for design, including six Governor General Medals for Architecture (Canada’s highest honor in architecture) and five times Architectural Record Magazine’s Good Design is Good Business Award.